Whether it was a World Premiere or the last stop in a long festival run, this year’s short films truly exemplified the creativity and possibility inherent in the short form. The documentaries were no exception. As the saying goes, truth is stranger than fiction. And as these list of our favorite short documentaries shows, truth tends to be just as exciting and cinematic as fiction too. Synchronized swimming is symbolic of the drive and cost of perfectionism. It requires precise timing, advanced swimming techniques, breath control, as well as a command of gymnastics skills. In Hungary, Erika is a coach for a girls synchronized swimming team, one who demands a high level of skill and effort from her team. However, she carries a terrible tragedy with her. As her story unfolds, we learn the truth: her teenage daughter committed suicide. She says it had to be due to a boy, but the rest of the film seems to suggest something darker. While the director never challenges Erika on her claim, the footage captures an absolute dedication to perfection, one that seems to border on obsessive, if not somewhat destructive. At the end of an event she only focuses on the way that the girls made mistakes (their timing was off due to an inability to clearly hear the music underwater) rather than commending them for their efforts. This same level of high expectation seems to permeate everything in her life. The purpose isn’t to paint Erika as a cruel or evil person but rather just to observe her own struggles with grief and her desire for her girls to be successful. While we may not agree with all of her methods, the film never doubts that she clearly loves and cares for the girls she coaches. The final result is a fascinating and nuanced portrait of perfectionism and loss. These two directors met as co-workers for an advertising agency, but you wouldn’t know it given the personal and uncompromising nature of their short film collaboration. The Fall River of the title is that of Fall River, MA, a town now known for its rampant crime and poor economy. Framed by audio recordings between co-director Pat Heywood and his grandmother, Fall River tells the story — through 1990s home video footage and 16 mm footage of the town’s major exteriors— of the death of Heywood’s mom and the analogous death of the city he grew up knowing. While the plot may sound maudlin and defeating, one of the short film’s greatest triumphs comes in its layers of self-awareness. The film opens with an intentional barrage of news footage covering the “state” of Fall River, and in doing so, calling into question the media’s role in warping our perceptions (rightly or wrongly) of place. At the same time, these co-directors have no intention of making a mere nostalgia piece. When Heywood asks his grandmother whether she thinks Fall River is a special place, she resolutely says no. It plays for laughs, yet an unnerving truth lies underneath: places are only as meaningful as the people in them. Heywood and McGinnis manage to populate their cinematic Fall River with people who are sad, wistful, and ultimately, hopeful. What is music, and why does it affect us the way that it does? It’s a very ambitious question, especially for a short documentary, to answer. To tackle it, Bruce Dear and Travis Henry weave together the stories of several musicians based in New Orleans. The film focuses on what drives them as artists and analyzes how music is the only way they can express themselves. The vision of Dear and Henry benefits by narrowing the perspective to only the New Orleans area, using it as a musical microcosm in which to frame his bigger questions. The diversity of not only the perspectives but also the instruments, ranging from the cello to the washboard, helps the film be not only inspirational but also informative. The directors give an opportunity for all the participants to explain their journey into music and to also demonstrate their mastery of the craft. As they play their respective songs there’s no doubt about what those songs represent for them: healing, freedom, acceptance, and recognition. Music can communicate the emotions and hopes of its players beyond language or conversation. We aren’t only drawn to music because it sounds pleasant but because it facilitates a deeper and more personal connection with not only the performer but the people listening with us. This film is a celebration of this kind of connection and communication that takes place within the songs of its subjects. Between the Notes serves not only as a love letter to the craft but also to the city of New Orleans. Those who value both in the same way that these directors do will find Between the Notes to be a worthwhile celebration. This poignant world premiere takes a very unique angle on the local flavors of New Orleans. 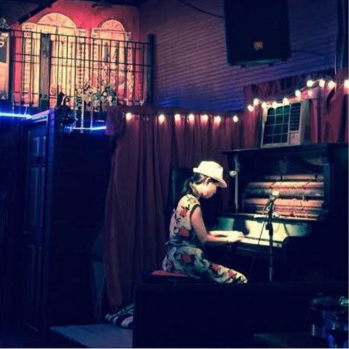 The documentary’s primary subject is Mikiko Matsumura, a Japanese pianist who moved to New Orleans with nothing but herself and her thoughts. We watch her struggle with the inherent loneliness and culture shock that comes with trying to exist in a wholly new environment. Of course, in the most New Orlean-ian way possible, Mikiko finds companionship through music by joining a jazz group to play gigs at a local coffee shop. This story about the inherent universality of music also comes with some gorgeous visuals. Director Trisha Gaw clearly has an eye for compositions, interestingly enough evoking a certain Japanese master (Yasijuro Ozu) in many of her frames. A true love of the city comes across not just in the subject matter, but also in the filming. She finds beauty in the obvious (parades and celebrations) and in the less obvious (the stagnant stickiness of a New Orleans afternoon after a big rain). This inspiring story zips by in a dynamic 12 minutes and proves the old adage that the most universal truths get communicated best in the most specific of circumstances. The sounds of a bugle echo through a lonely Belgian forest. A chorus of barks, yaps, and growls is the only response. In Morgane Thibaut’s The Last Houndsthe barks of the dogs are the only dialogue, the sounds of nature the only soundtrack. The documentary follows the daily routine of a pack of hound dogs as they are brought from their home in the Belgian countryside and hunt through the forest with a group of men on horseback. By removing natural dialogue and allowing the visuals and atmosphere to drive the movie, Thibaut allows the remote setting to come alive. Despite the fact that it takes place in modern day, it feels like you’re living in a snapshot of the past where hunters still use hounds and uniformed men still ride horseback through the countryside. The short closes as the hounds regroup, ready to return home. As the sun sets, a man blows the bugle once more as he awaits the return of the final hounds. The director leaves the audience trapped in that moment of anticipation as we hope for a reunion that never comes. The Last Hounds is an atmospheric triumph that manages to bring alive a small world separate from time and place; despite the lack of dialogue, you’ll never feel lost. We end our selections with an unconventional New Orleans story. 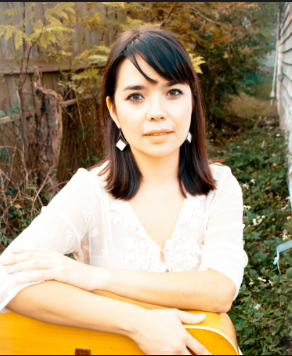 Just one look at director Kiyoko McCrae’s portfolio as a multidisciplinary artist (theater, film, music, poetry and more) tells you how creative and outside-the-box her abilities are. This short documentary tells the story of Sunni Patterson, a New Orleans local with deeply historical ties to the city, who fled before Hurricane Katrina and didn’t come back for over a decade. To best emphasize Sunni’s return, this time with the seeds of the next generation in her child, McCrae cuts between traditional talking-head style documentary segments and fantastical/symbolic renderings of Sunni’s poetic work. With the spoken word tracks in the background, the film cuts masterfully to the beat of the voice and cadence of the rhymes, finding highly evocative images to match the theatrical fervor of the performance. It’s an absolutely gorgeous, and deeply heartfelt, film about New Orleans, though without ever trying too hard to be. Everyone involved here is clearly a large talent, and a testament to the staying power of word, sound and image in New Orleans culture.